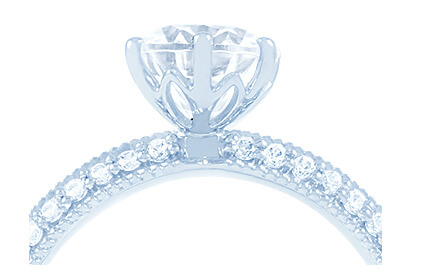 A diamond engagement ring is considered by many to be the quintessential engagement ring. Here at Diamond Boutique, we celebrate the timeless elegance and unparalleled beauty of this rare stone by pairing it with unique white gold, platinum and gold settings. Whether you’re looking for a single ring or stunning bridal set that features the complementing wedding band, we offer a range of diamond engagement rings that feature sublime GIA-certified stones. Varying in cut, clarity and carat, we have handpicked all of our diamonds to ensure we’re offering you the finest quality at varying price brackets. Peruse the collection and discover your ideal ring today. Alternatively, you can custom design your own. Contact us on +44 (0) 203 6959 885 for more details.